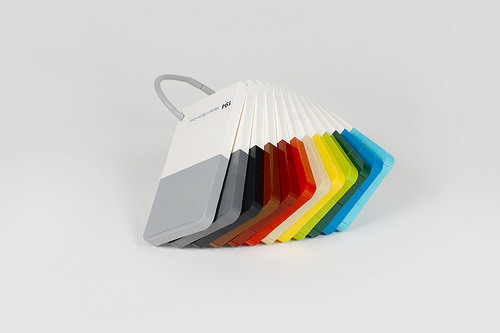 Let a little colour into your LEGO life with this collection of brick-built colour swatch cards from Anthony SÉJOURNÉ. A simple build to be sure, but so clean and smart. Shame the white halves of the cards don’t have the same rounded corners as the coloured parts, but that’s nitpicking. I want a set of these to turn the design guys at my work green with envy (2423 C green to be precise). And for the real graphic design geeks amongst you, it looks like Anthony has even used the proper Pantone typeface for the custom stickers featuring the colour names — Akzidenz Grotesk. I might be wrong on that front, but it looks pretty close to me.